I was working for clients who were more than ready to move into their 18,000 square foot new home after spending two years in the guest house. 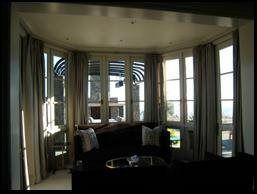 Angelique was put to the challenge to do the custom detailed window treatments for the entire house—within 6 months. 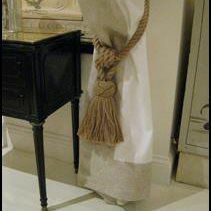 To name a few, the specific details included hand sewn triple pleats and hand rolled hems on the motorized sheers, long drapery and roman shades. She finished the job on time and more importantly, the results are beautiful. She stayed on top of the details and project from the beginning through the end. Angelique’s work surpassed my highest expectations. Angelique is very experienced at working with a design team. She asked the right questions and provided excellent advice during the design phase. It helped us avoid problems during construction. The most thorough seamstresses I’ve ever worked with, fastidious. No doubt, most professional, first class workmanship in the bay area. Angelique is an education in the correct way to approach anything sewn, especially classical European and historic detailing. Angelique Interiors along with her capable staff are highly recommended. I have had the pleasure of working with Angelique many times over the past ten years and every time she has exceeded our expectations. No matter how large or small or complicated the project might be Angelique has been there for us. She has added an upholstery workshop and like the drapery workroom the work is impeccable. 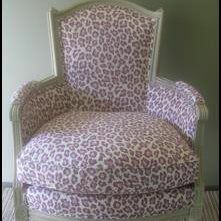 Angelique Interiors are a pleasure to work with. From on-time delivery to "attention to detail" and wonderful professionalism, I would recommend them without hesitation. Angelique’s skills are unsurpassed. I have presented her with many design challenges—all carried out with remarkable creativity and beauty. I have worked in many high–end homes with clients who demand excellence (and well they should!). With Angelique as my fabricator, I am always confident that my clients will be ecstatic. She has more than once come to a job site to physically make a template herself for a complicated or oddly shaped project; hands on, she cares. Angelique is a true artist and collaborator with keen business sense. Aside from all of this, she is realistic and will tell you like it is if a client's wishes won't be met on time or within budget. Then she will offer alternative solutions, which are excellent due to her extensive and broad experience with all things related to textiles. I could go on and on and on - seriously, I can't say enough about how wonderful it is to work with Angelique and how much I have appreciated having her on my team. We've used Angelique for several of our design projects and appreciate her attention to detail and good craftsmanship. 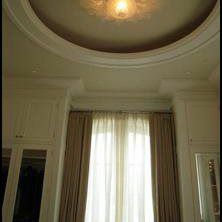 We share a similar aesthetic which has helped us to build a partnership in the design process and create beautiful window treatments for our clients. Angelique is very organized and flexible- she brings a great balance of having her own opinions and experience to a project while also allowing the client to express their design intentions. I have worked with Angelique on several high end residential projects and her design, fabrication and installation process has been extraordinary. I highly recommend her! 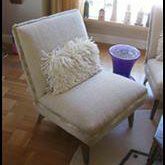 Angelique Interiors provides great service and does beautiful work. Angelique is very insightful when it comes to appropriate applications and fabrics to be used for window treatments. 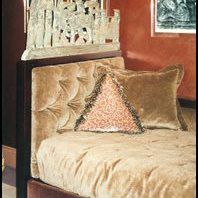 I highly recommend using Angelique Interiors.